Hamas chief Khaled Meshaal has urged Muslims to “defend” the Al-Aqsa mosque in Jerusalem after Israeli forces restricted the entrance for Palestinians. He accused Israel of trying to seize the site, which is considered holy for both Muslims and Jews. “We call on all our people inside the country to hurry up to al-Aqsa to defend it,” Meshaal said in a statement from Doha, Qatar. 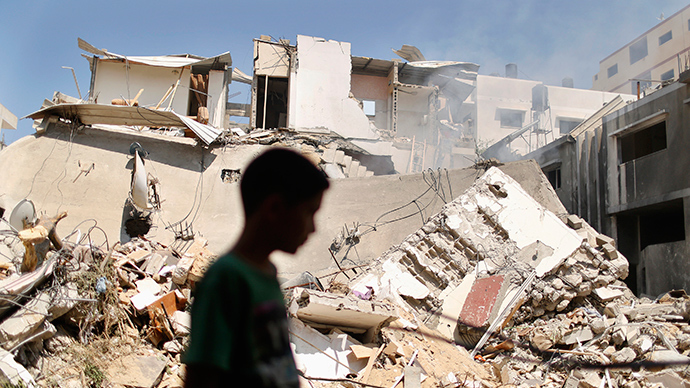 “We call on the nation to be angry and to send a message of painful anger to the world that the Palestinian people, the Arab and Muslim nation, will not be silent at the Israeli crime,” Meshaal added. 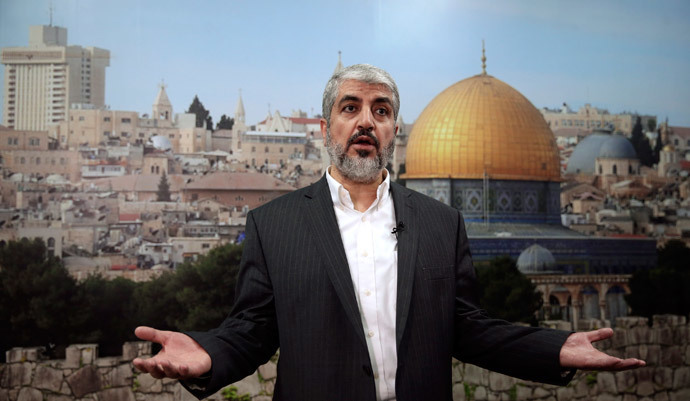 “Al-Aqsa is worth us becoming martyrs for, and anyone who can carry a weapon in the region should go and defend it, as this is the true meaning of jihad,” Meshaal added, prompting alarm from both media and the region’s politicians. Earlier, Israeli forces decided to only allow Palestinians over the age of 50 to enter the site, which is considered the third holiest shrine in Islam. The Palestinian population feared Israel was going to restrict access to the mosque for all Muslims. 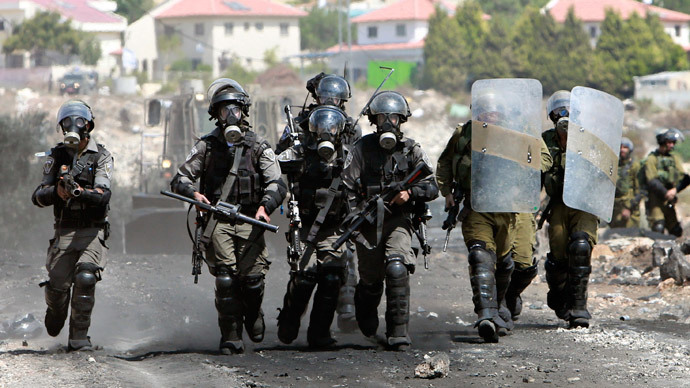 That caused the latest in a series of clashes with Israeli police at the site. Israeli Prime Minister Benjamin Netanyahu has denied all the assumptions, saying the extremists are to blame for the violence. 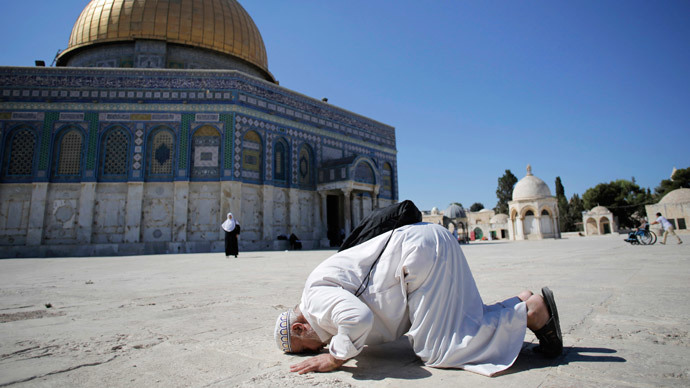 Netanyahu said Israel would continue to scrupulously maintain the protection of holy sites and the right of all religions to worship in their holy places. According to Meshaal, however, Israel is trying to use the regional turmoil to take over the mosque. The former site of a Biblical temple, Al-Aqsa is considered a holy site for Jews. 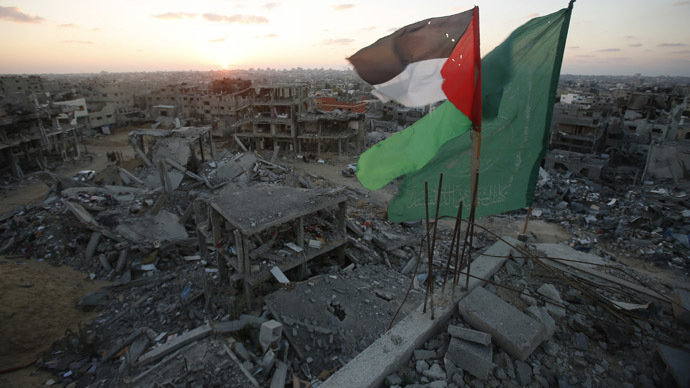 After the 1967 Six-Day War, the complex was immediately handed over to Muslim authorities. Non-Muslim visits to the Al-Aqsa complex are allowed and regulated by Israeli police, but Jews are not allowed to pray at the site for fear it could cause disturbances and protests from Muslims. Jews have to come as tourists and pray at the Western Wall. During the Jewish holiday of Sukkot, celebrated over October 8-15 this year, Jews historically make pilgrimages to the compound, which they call Temple Mount. Israeli Public Security Minister Yitzhak Aharonovitch threatened Tuesday to close the compound entirely if members of the two faiths could not pray there peacefully. “We want [the compound] to stay open for Muslims and Jews, but if Jews can’t go there, neither can Muslims,” the minister was quoted as saying by military radio. 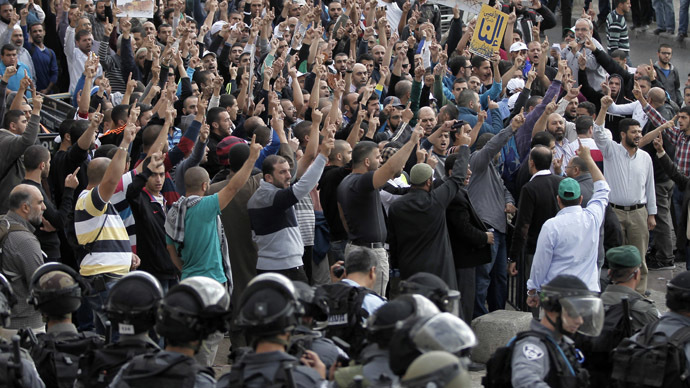 The latest outbreak of tensions over the holy site started in 2000, after Israeli politician Ariel Sharon’s visit to Al-Aqsa triggered a Palestinian uprising that lasted five years – the so-called Second Intifada.